Danielle Swain Lewis began her studies in music with the violin and piano at age six. A Suzuki student, she studied violin at the Nevada School of the Arts with Mary Straub. 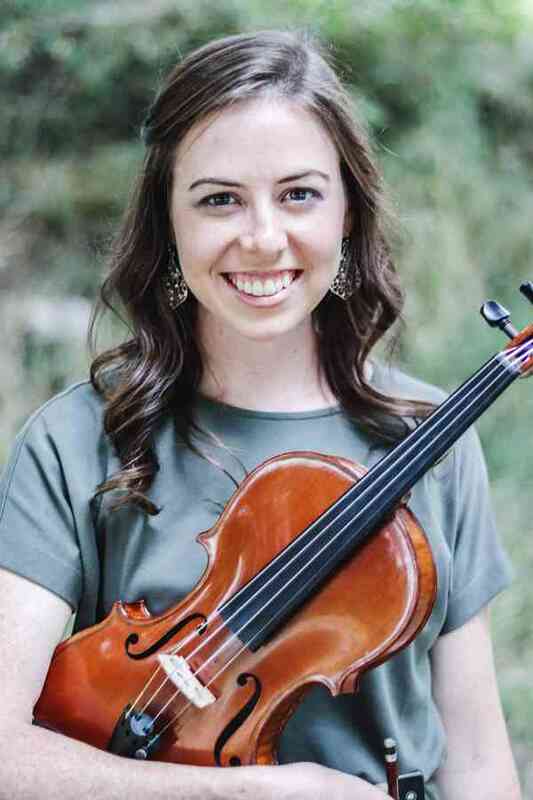 Danielle graduated high school from the Las Vegas Academy for the Performing Arts, and in April 2012 she graduated from Brigham Young University with a BM in Violin Performance. Her teachers there included Monte Belknap and Barbara Williams. While at BYU she taught violin lessons to non-music majors, as well as performed in the Honors String Quartet. Danielle recently graduated with a Master's degree in Violin Performance from the University of Utah where she studied with Ralph Matson. She performed as a member of the Mount Olympus Waters and O.C. Tanner Honors String Quartets, and held concertmaster and principal 2nd violin positions in the Utah Philharmonia. Since middle school Danielle has competed and placed in many competitions, the most recent of which was the MTNA (Music Teacher National Association) Competition, where she received Honorable Mention in the Young Artist Strings Southwest Division in January 2014. She has also attended prestigious summer institutes such as the Interlochen Arts Camp and the Aspen Music Festival, where she studied with Connie Heard, Won-Bin Yim, and David Perry. Danielle’s pedagogy training includes studies with Suzuki Teacher-Trainers Pat D'Ercole, Allen Lieb, and Denise Willey.